The Baptist Missionary Society trains and supports Christians who go overseas, using their gifts to help those in need. Opportunities range from short term to life-long, with gap years for young people and summer teams for all ages. Mark & Emily Allen are link missionaries for DBC together with Rugby and Wolston Baptist churches. Mark runs community development projects and Emily is a doctor. In recent years the three churches have also hosted BMS Action Teams from Brazil and Nepal. DBC regularly contributes financially to BMS. DBC is part of the Baptist Union of Great Britain (BUGB). Home Mission is BUGB's department for mission in the UK. Home Mission supports churches that can't support themselves financially; they provide resources for all BUGB churches as well as providing regional ministers who support churches locally. About 20 years ago DBC was supported financially by Home Mission when we first felt God prompting us to call a full-time minister. DBC regularly contributes financially to Home Mission. Latin Link is for people with a passion for Christian mission in and from Latin America. They work cross-culturally with churches and partner organisations who share their values. Claire Siddaway worked with Latin Link in Brazil and then in UK. DBC regularly contributes financially to Latin Link. Parish Nurses are registered nurses with some community experience. They work from local churches to develop a whole-person health ministry in the community. Rev Helen Wordsworth, formerly of DBC, was instrumental in introducing Parish Nursing to the UK in 2004. Geoff Waghorn is Finance Officer for Parish Nursing Ministries UK. DBC regularly contributes financially to Parish Nursing. 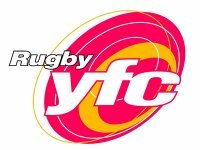 Rugby Youth for Christ exists to take the Good News relevantly to the young people of Rugby. They work in schools and colleges and do further outreach through the churches. DBC teenagers go to Elevate, a youth event which is held every 3rd Sunday evening, which is organised and led by RYFC. Tony Shaw, amongst others from DBC, is involved with the work of RYFC. DBC regularly contributes financially to RYFC. The Well Christian Healing Centre is situated in Leamington Spa. Its mission is to see people experience God's healing and wholeness in their lives. They offer quiet days, prayer appointments, soaking prayer sessions and soaking prayer for pregnant mums. Streams in the Desert is also run by The Well. This offers an evening of worship, teaching and prayer ministry for women. Richard Howarth works at The Well. Phil Ray volunteers at The Well. Association of Christian Counsellors supports Christians who provide counselling and pastoral care. It aims to ensure quality provision across the country and members include individuals, organisations and churches. Head office is in Coventry and Richard Howarth works there. TRAX is a group of young people from Rugby who use puppets, games, singing and talks to proclaim God's love to children and young people in a fun, relevant and interactive way. Steve & Hilary Dobson facilitate this work, whilst Mark Dobson is part of the team. Mission Direct gives ordinary people the chance to do extraordinary things around the world. We are invited to take just two weeks to help on projects around the world. Caitlin Walsh & Chris Tabor went to Moldova and helped renovate a building and helped to run a children's club. Chris Tabor has also been to Zambia and Sierra Leone (twice – and she's going again!). In Sierra Leone she has been able to help train teachers. Futures Unlocked aims to support ex-offenders in leading crime free lives and to improve their life chances. Jackie Oglethorpe works for Futures Unlocked. Russ Pollard volunteers as a mentor to ex-offenders. Rugby Portuguese Church holds a service at Rugby Baptist Church on Saturdays at 7pm. Claire Siddaway, using her Portuguese language skills, helped to set up the Portuguese church. Sycamore Tree is a six-session programme taught in prison to a group of up to 20 learners. The Sycamore Tree programme raises victim awareness among offenders and teaches the principles and application of restorative justice. Sue Holdsworth and Chris Tabor act as facilitators for Sycamore Tree sessions. They have also been involved in Angel Tree which provides Christmas presents for prisoner's children. Warwickshire Domestic Violence Support Services is a voluntary organisation which exists to support those experiencing domestic violence. Faye Morris supports this initiative. Operation Christmas Child is the world's largest children's Christmas project, run by the Christian charity Samaritan's Purse. They have been sending gift-filled shoeboxes around the world since 1990, bringing joy into the lives of over 80 million underprivileged children. DBC collects and sends shoeboxes each year. Likewise, Noah's Ark invites all who attend to collect items for shoeboxes too. The Boater's Christian Fellowship, better known as the BCF, is a group of Christians who appreciate the inland waterways. They are committed to enabling their members to find Christian friends and to enjoy one another's company. BCF encourages fellowship through chance and planned meetings whilst on the waterways. Steve & Nikki Kirk are members of BCF. Thursday lunchtime fun for children in year 3 at Dunchurch Junior School. There are two groups a year – one starts in September and the other in February. After having their lunch, up to 15 children enjoy 40 minutes of activities such as games, stories, puzzles, songs, craft, drama and video clips, all based on stories about Jesus from the gospels. Linda Woodthorpe helps to run Cru Club. Rugby Foodbank provides emergency food for local people in crisis. We have a collection box for the Foodbank here at DBC. Please donate items when you can. Fiona Walsh is the DBC rep for the Rugby Foodbank. CAP-Rugby endeavours to help local people in debt crisis as they travel towards debt release by offering a local church volunteer who will stand by them in their time of need, showing love and guidance. Chris Tabor is a CAP befriender and is currently supporting one family. Hope4 is a charity which seeks to relieve the plight of homeless and badly-housed people in Rugby, whilst also trying to prevent homelessness. The Hope Centre is a day centre that is open: Mon-Fri: 11am-2pm, Sat: 9am-11am & Sun: 1pm-4pm. Hope4U, based in St Andrew's Church, provides hot food and drinks for anyone in need on Monday, Wednesday & Friday: 6pm-7pm. Kate Gooch volunteers at the Hope Centre. Michael Haighton is Hope4 Chaplain.